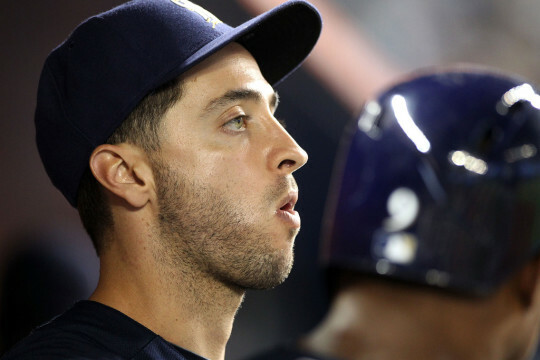 As expected, Ryan Braun is headed to the disabled list. The stint is retroactive to April 27, a day after Braun last appeared against the Cubs and strained his oblique. He’ll be eligible to return on May 12, which means he will miss the entirety of the series against the Yankees. Not exactly ideal timing. The team has been playing shorthanded while they evaluate Braun’s health, but oblique injuries are tricky. It became pretty apparent Braun would require a DL stint earlier this week, and it’s better to let the muscle fully heal now than have the problem linger through July or longer. Logan Schafer was activated from the DL in a corresponding move. This says nothing of the nerve issue in Braun’s thumb, which prevents him from feeling how hard he’s gripping a bat. That remains concerning and will likely impact Braun for the remainder of the season. It sounds like there’s no guarantee surgery will fix the nerve, and could take Braun out of the lineup for a very long time. So for now, he’ll continue to manage the injury. This entry was posted in News and tagged diabled list, New York Yankees, Ryan Braun. Bookmark the permalink.